I don’t think this is particularly news, but as I don’t usually shop in Tesco, it was news to me! I am very impressed that they have opted for a gluten free soy sauce in their takeaway sushi packs, giving me a rather splendid work lunch today. This little lot was only £3. Not all the packs are gluten free as one of them had panko breadcrumbs in the sushi, but the plain fish ones will be ok. They also had a gluten free cheese and onion pre-packed sandwich, but sushi generally wins over a sandwich for me. I also discovered these gluten free KitKat type biscuits, which look rather fine. Will be testing these out over the weekend. It’s a long time since I had a KitKat! 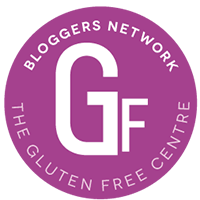 Tags: gluten free chocolate, gluten free food to go, gluten free sushi, gluten free treats, Product review. Bookmark the permalink.